Celebrities often get a bad rap for either being all beauty and no brains, or having everything handed to them on a silver platter. There are, however, a handful of celebrities whose secret real estate careers match (and sometimes surpass) their on-screen success. Blake Garvey was a real estate agent for three years before he became known as “The Bachelor”. And, after the show finished (along with the subsequent relationships with Sam Frost and Louise Pillidge), Blake went straight back to the one true love of his life: auctioneering. The 31-year-old Perth local’s post-Bachelor business, Elite Auctions, specialises in swinging the auction hammer for everything from residential buildings through to charity items and end of stock goods. Blake aims to revive the art of auctioneering by combining natural charisma, showmanship and a flair for creating a sense of urgency to win the crowds over. His 27,900 followers on Instagram help too. Take home message: If your skillset includes fast talking, charm and a burgeoning social media obsession, you’ll shine in the real estate industry. Before he was Mr Universe, the Terminator or the Governator, Arnold Schwarzenegger was a budding young property investor. In fact, his first million dollars was made in real estate, not on screen. Using $US27,000 he scraped together by pooling his construction wages and body building prizes, Schwarzenegger invested in a block of six units. This block ended up making Arnie $US169,000 in profit. By investing that profit in a larger block of apartments, Schwarzenegger traded up until he was the owner of an impressive portfolio that spread across the residential, retail and commercial property sectors. Last year Schwarzenegger visited Brisbane to share the secrets of his success with budding agents and investment enthusiasts at the Queensland Real Estate Agent’s summit. Take home message: You don’t need to have a huge bank balance to get started in the property industry. Hard work, vision and strategy will get you further than initial financial advantages. And, there is no better way to start learning the ropes of the industry than with a real estate training course. The Friends and more recently Cougar Town star Courtney Cox has been quietly “flipping” houses behind the scenes for decades. And, while many celebrities try their hands at property investment, few have been quite as successful as Cox. The actress renovates historically and architecturally significant homes, making sure that she refreshes their look without spoiling their original beauty. One such home was an A. Quincy Jones-designed house in the Trousdale Estates that Cox bought in 2004 for $5.45 million. After reconfiguring the layout of the house and renovating the finishes, she flipped the property $18 million in 2013. The secret to her success lies in her family’s wealth of real estate knowledge. She comes from a family of contractors with plenty of experience buying and fixing up smaller homes. Take home message: On the ground experience in the real estate industry is worth its weight in gold to anyone who sees property investment in their future. 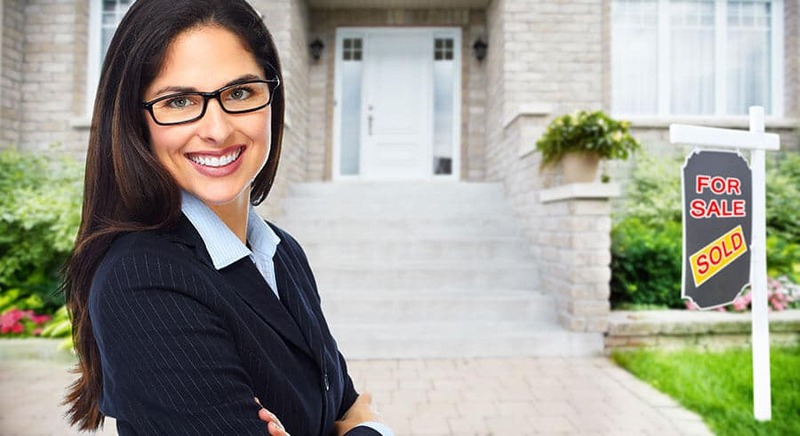 There is no better way to learn what people want to buy and sell than by getting hands-on experience as a real estate agent. Ryan Serhant – the star broker on Million Dollar Listings New York – is often touted as “kind of a big deal” in the NYC property scene. But before the multimillionaire had his own real estate web series and a reputation that lets him appear as a real estate expert on CNN, CNBC, FOX, NBC, ABC and CBS, he was an out of work actor with only one soapie role to his name. So how did Ryan Serhant, the under 35 industry leader, go from zero to hero? He focussed all his energy on learning one market: New York City. Putting his degree in English Literature and Theatre to the side, Serhant spent hours learning the ins and outs of the area’s property data and market reports. Then, he used this knowledge to build trusting relationships with the right people. The rest is history. Take home message: You don’t need a Masters of Business from an esteemed university to make your fortune. Even if you’ve got one career failure behind you, with the right training you can reach the top of the game. Interested in getting your foot in the door? Read our Tips on Selecting a Real Estate Trainer blog to know what to look for in a real estate trainer. Or, call Validum Institute on (07) 3193 5270 to speak to one of our experienced trainers about your career goals. We’re always ready to answer any questions you may have about studying a real estate course – no matter how big or small they may be!